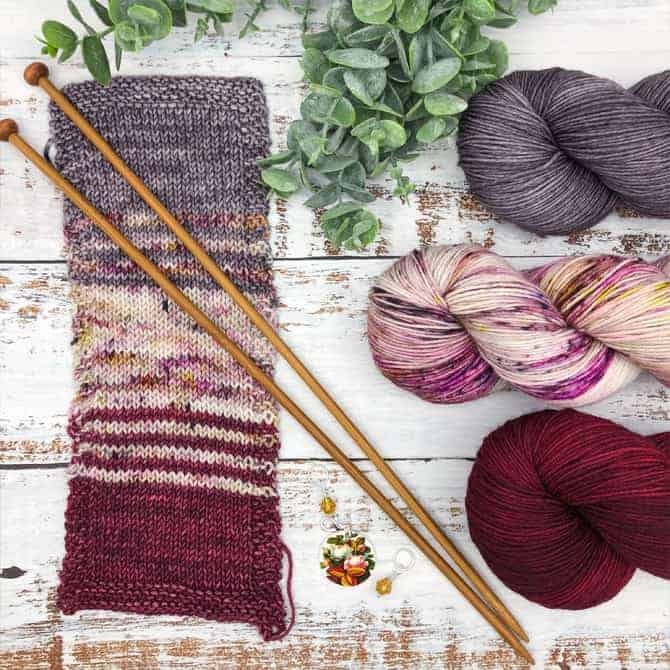 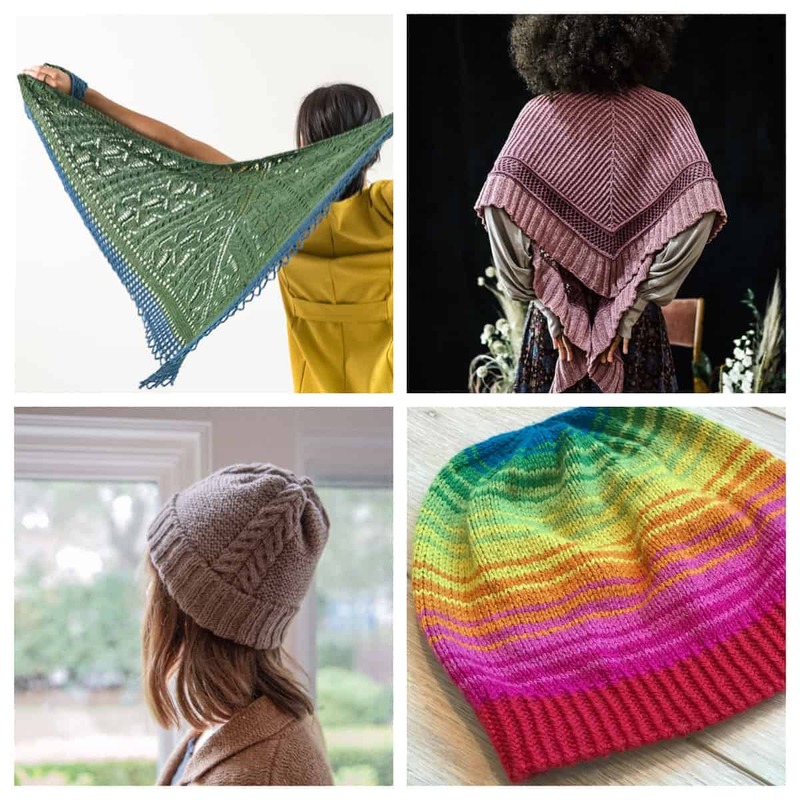 Vogue Knitting Live always tends to sneak up on me, but it never fails to supply me with a ton of knitting inspiration and remind me why I decided to pick up my first pair of Clover needles several years ago. 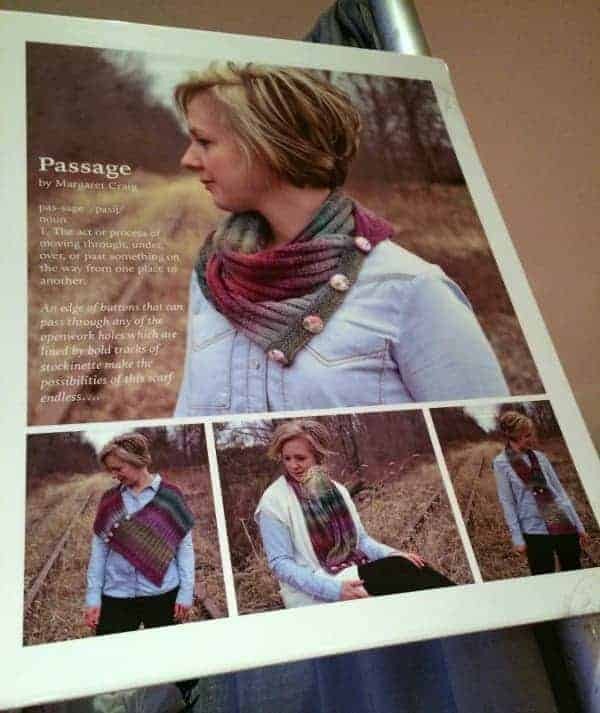 I didn’t end up taking any classes this year, like I have in the past. 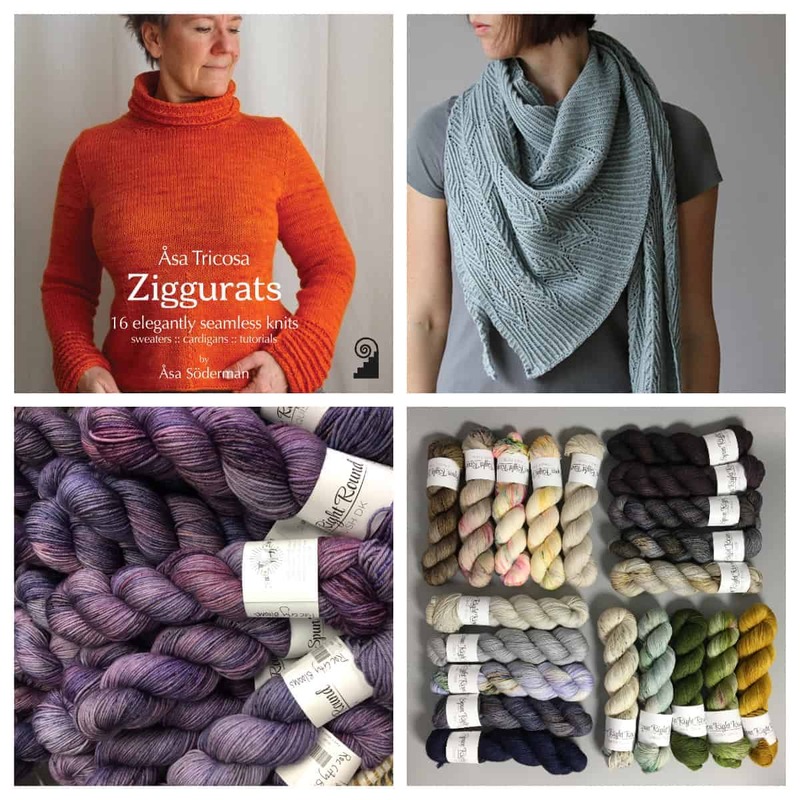 The ones I was particularly interested in (with Amy Herzog and Kate Atherley) sold out pretty quickly, and some others conflicted with plans I had with friends that I see far less often than I should. 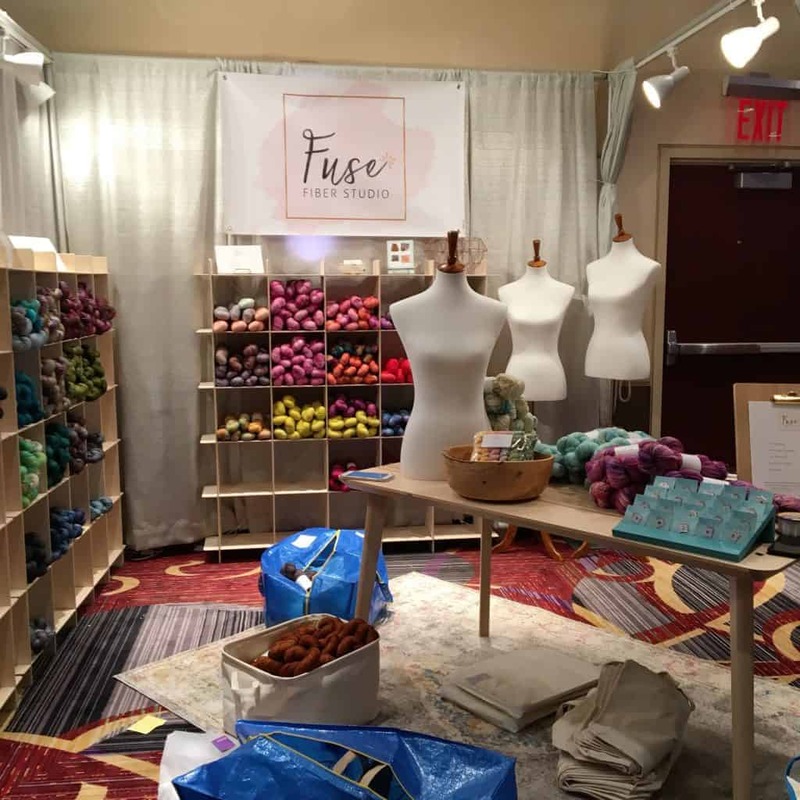 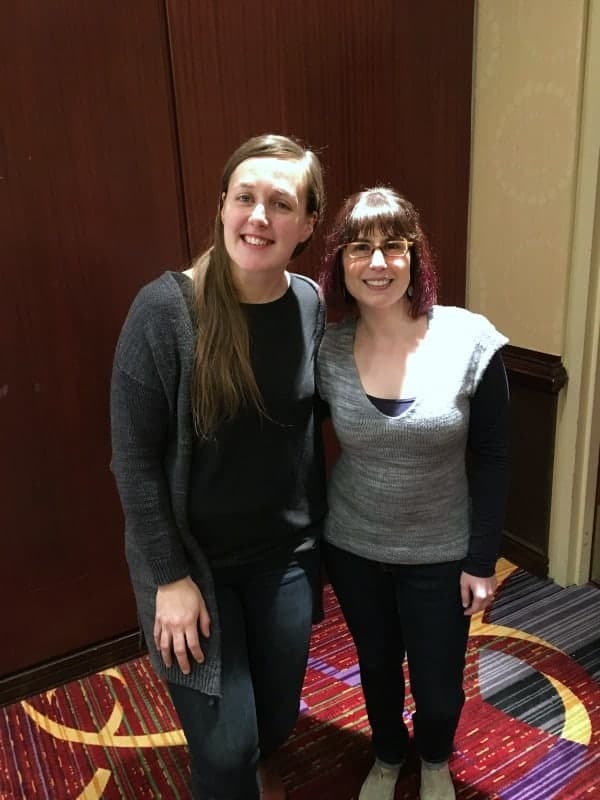 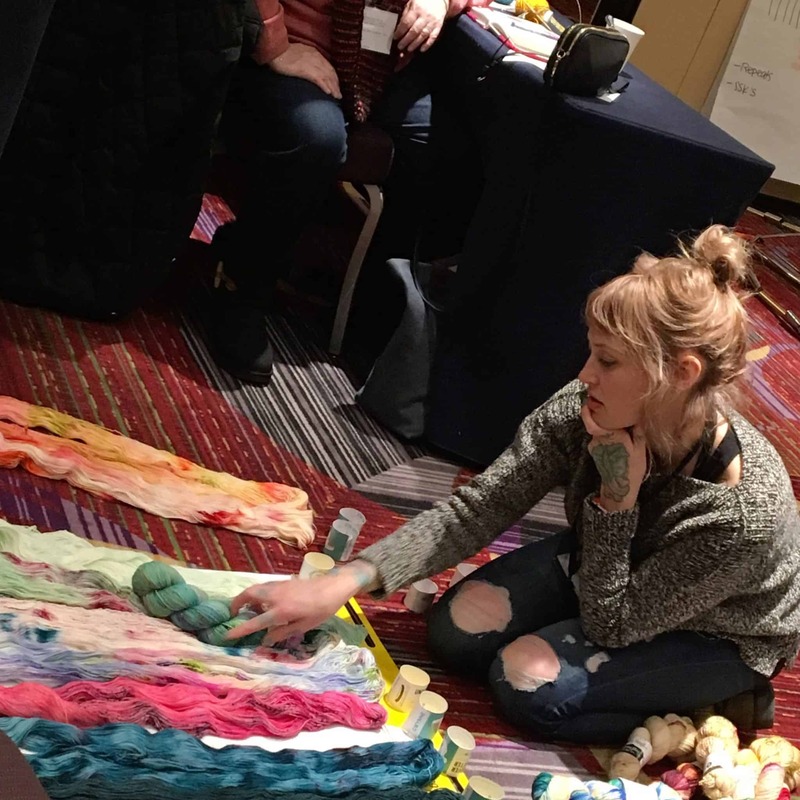 But, between meeting some new-to-me indie dyers in the marketplace, discovering some special skeins and taking in the fabulous Stephen West & Steven Be fashion show, this year’s VKL — my fourth — was pretty epic, and definitely very indie. 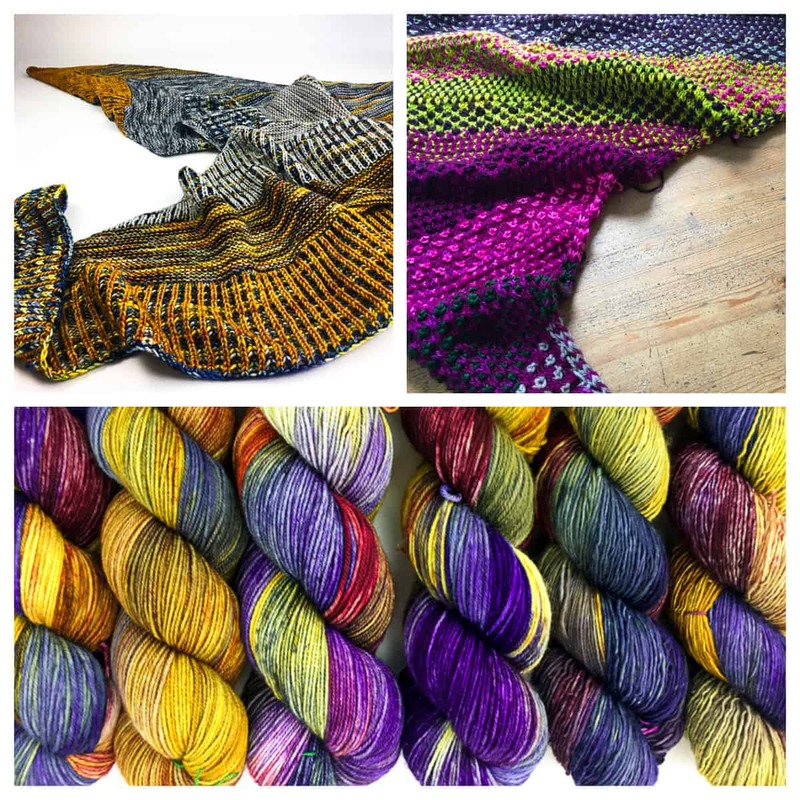 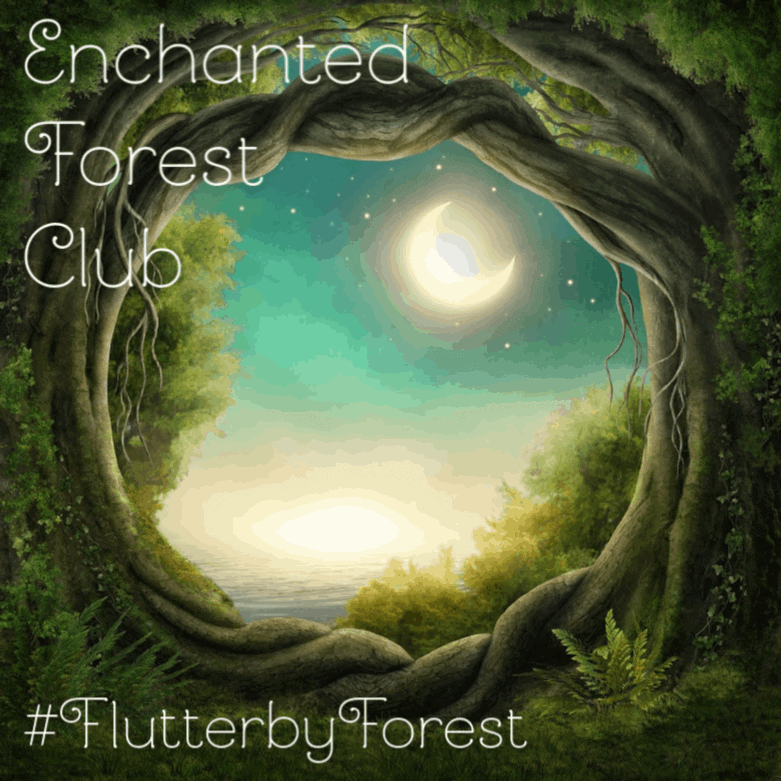 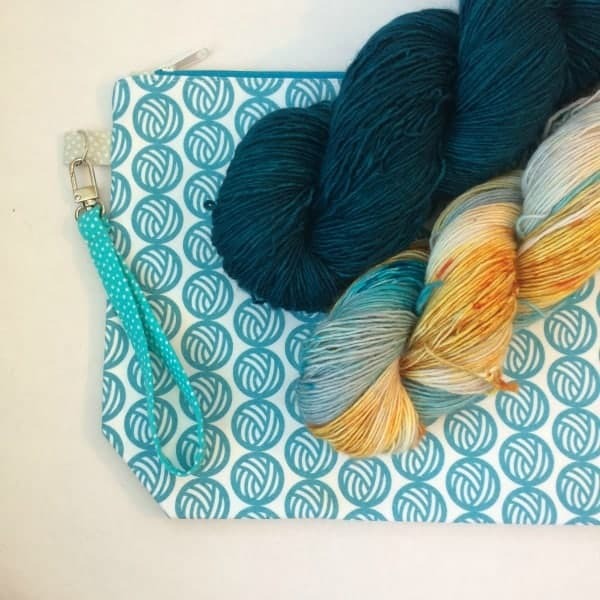 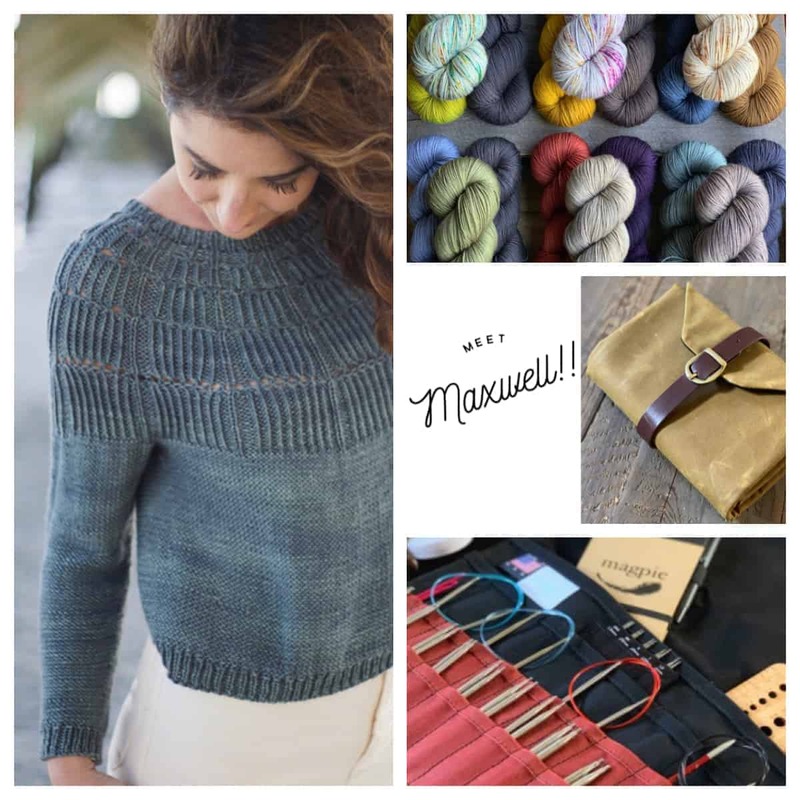 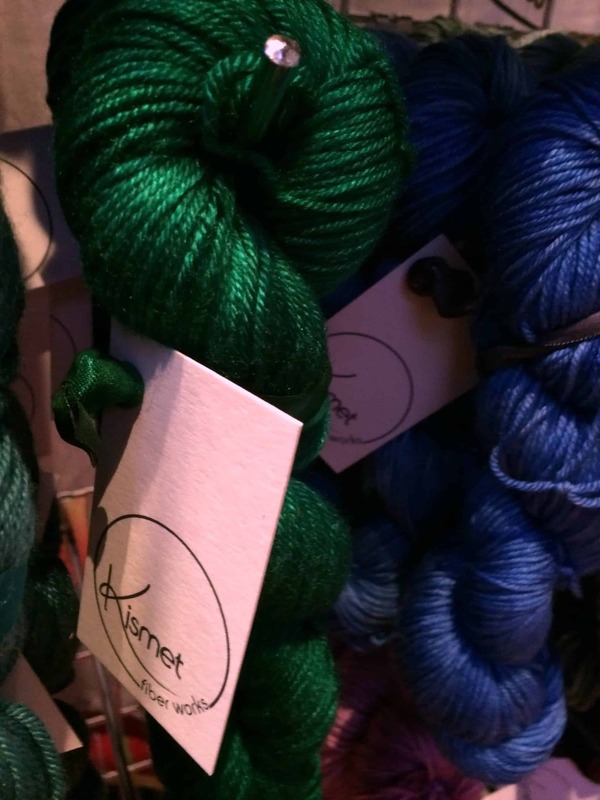 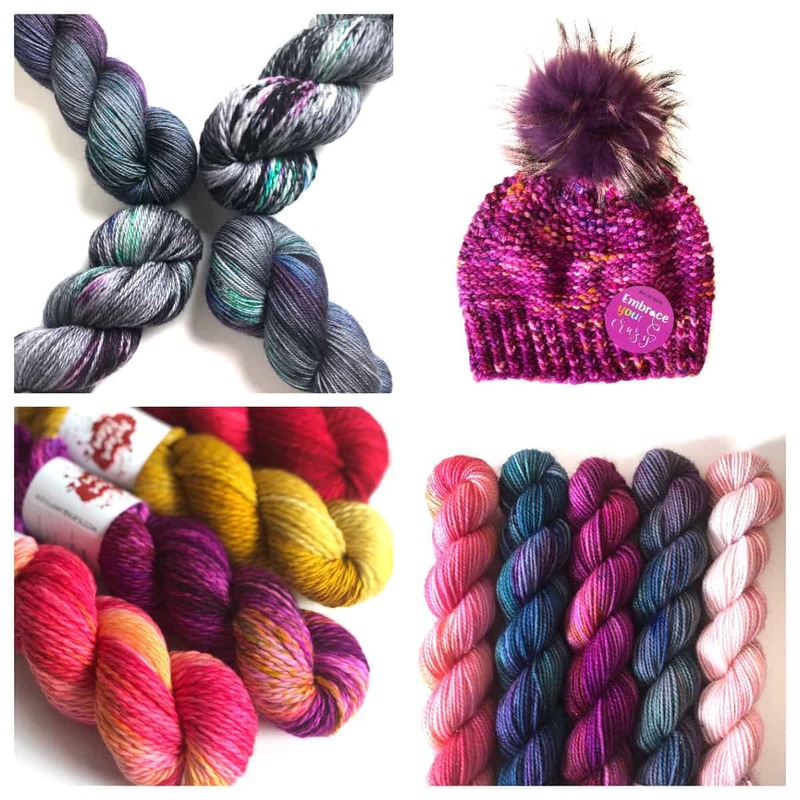 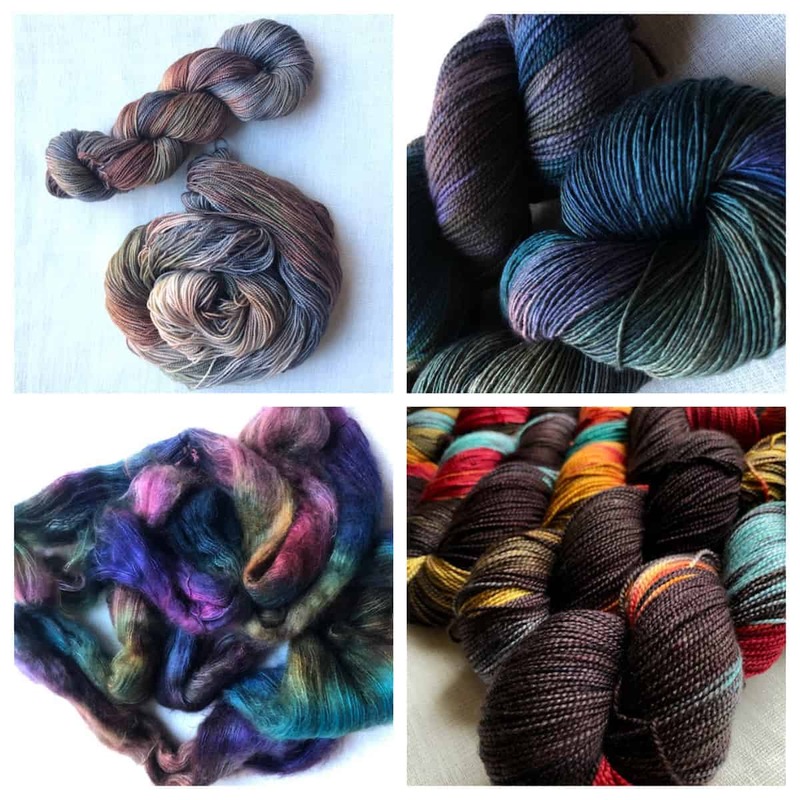 While last year was all about Dragonfly Fibers and Neighborhood Fiber Co., this year I made sure to check out the newest indie additions. 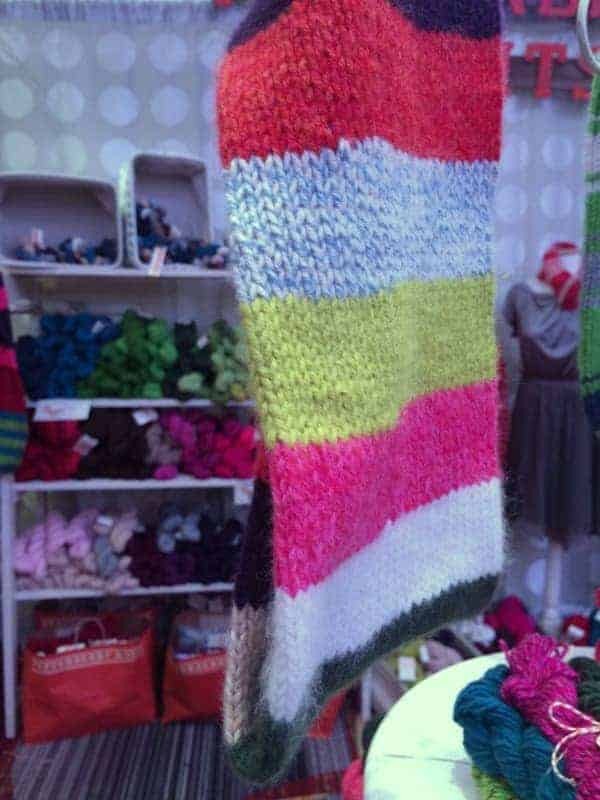 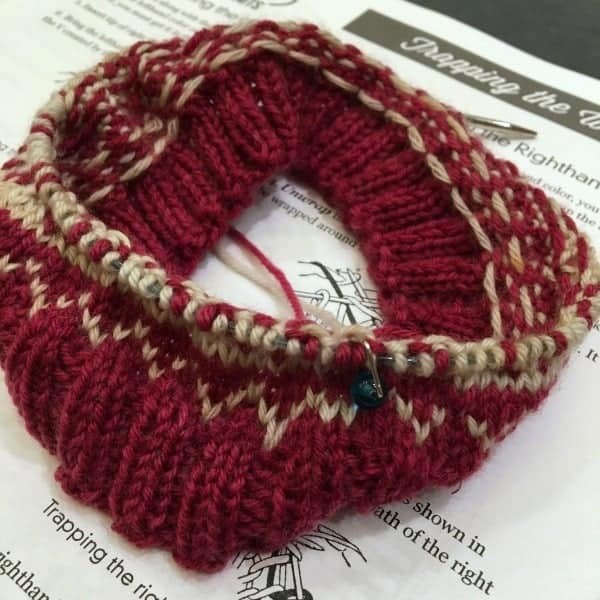 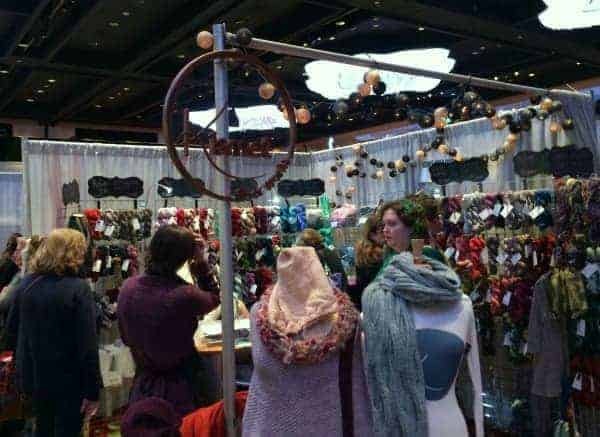 One of the first booths I went to was Pepperberry Knits. 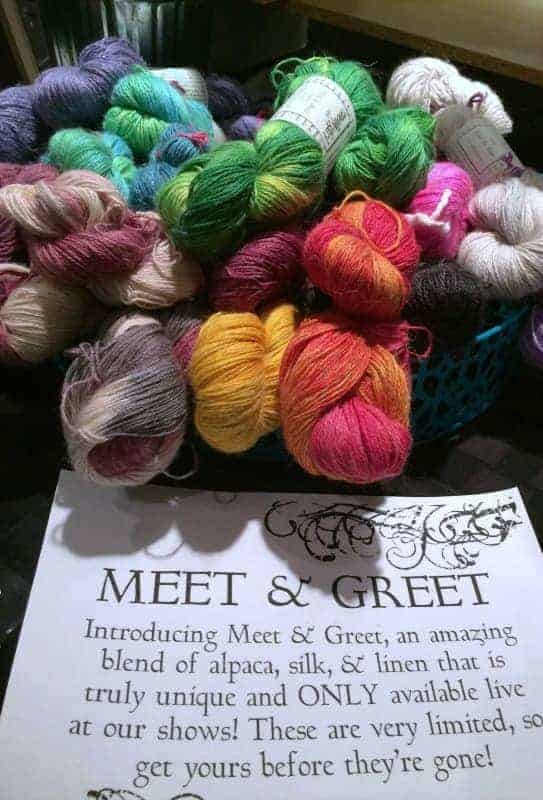 I had already heard of the company through my friend Stacy, who now lives in Idaho, where Pepperberry is based, and she had introduced me to owner Heidi recently over Facebook (Stacy also just started working for them, which makes me extremely jealous). 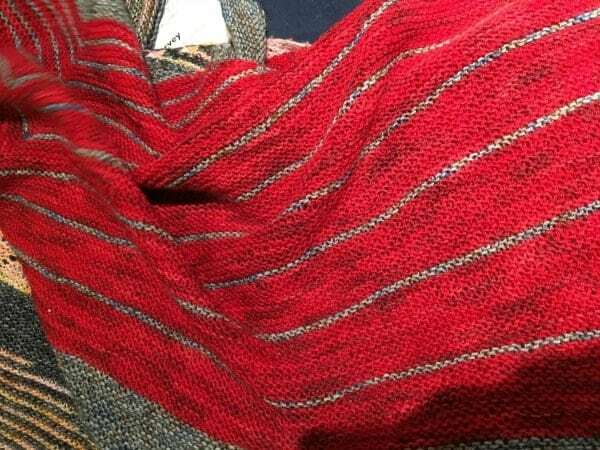 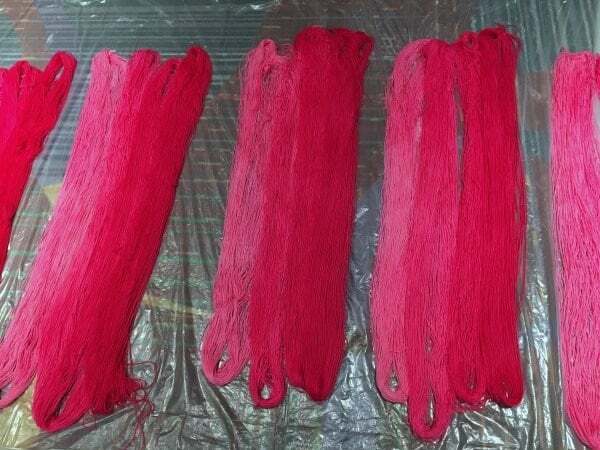 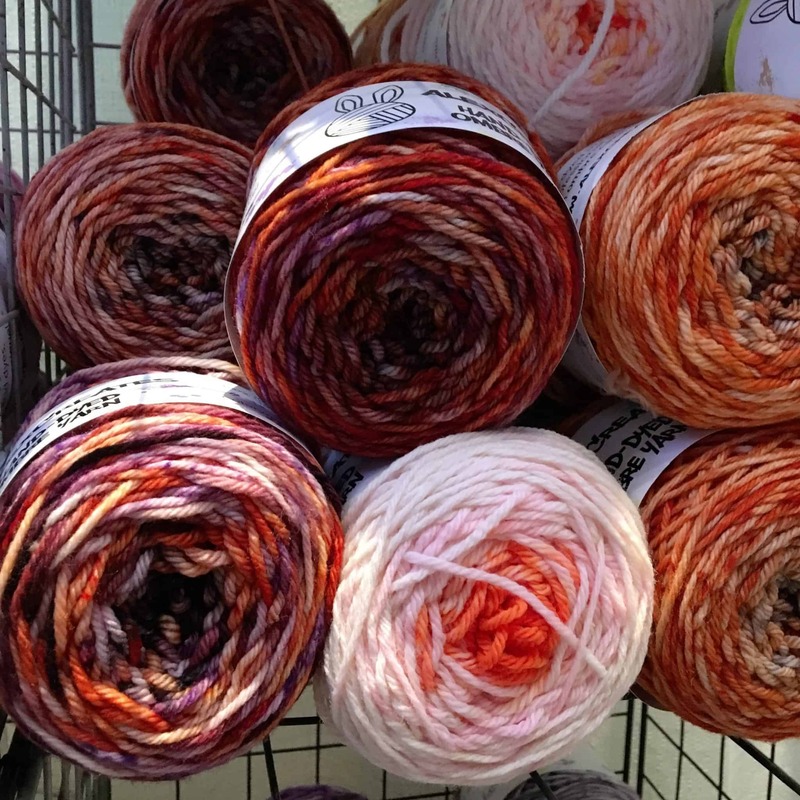 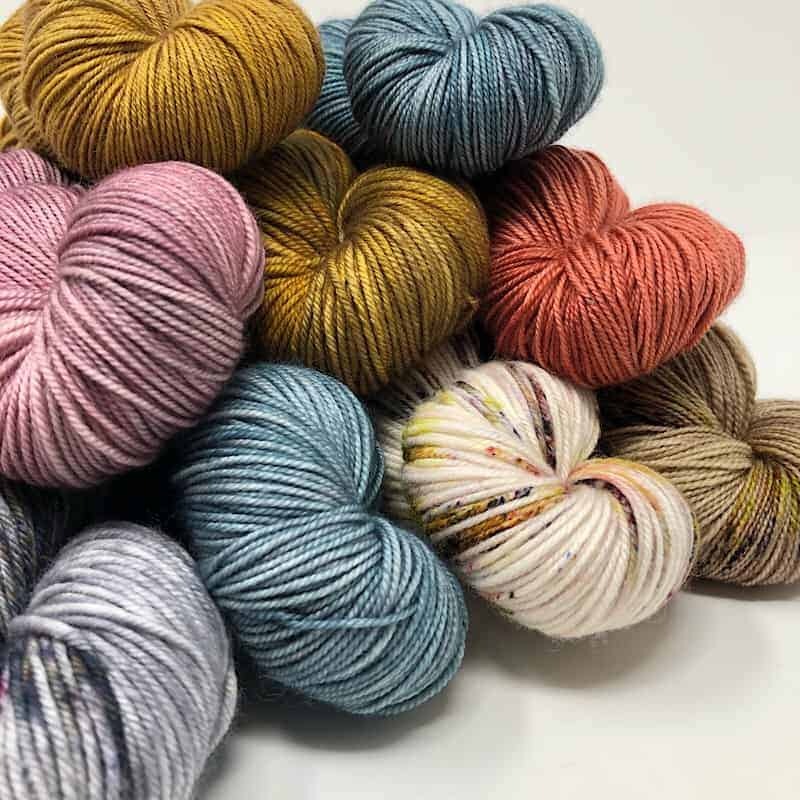 Heidi, a redhead with a personality to match her brightly-colored yarns, told me about how she once decided to unravel and reknit a vintage Cashmere sweater, which led her to decide to sell Cashmere exclusively. 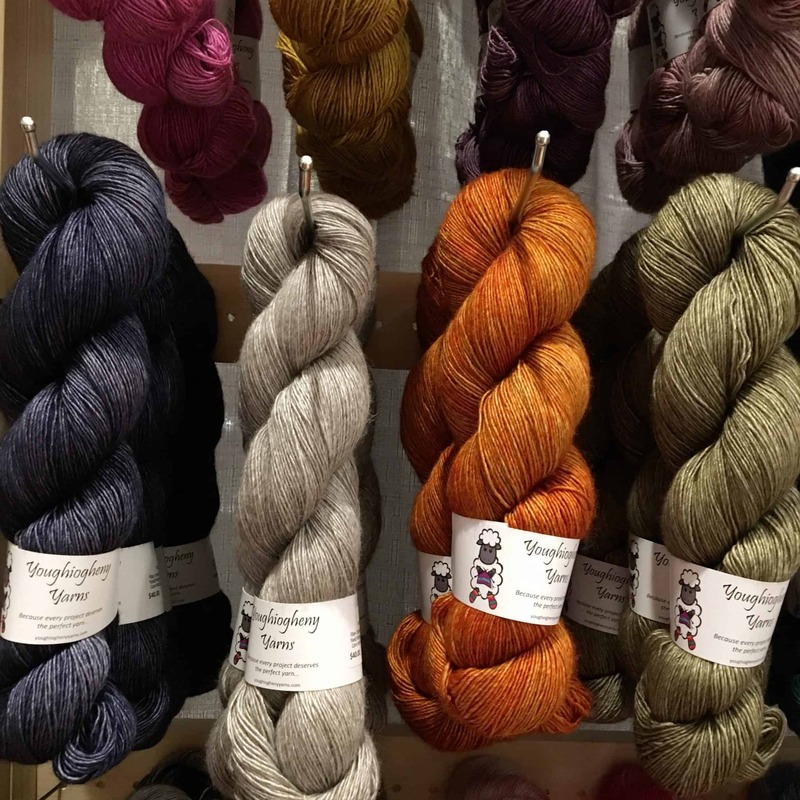 The Pepperberry booth was so fun to photograph, and not just because the light there was actually pretty good. 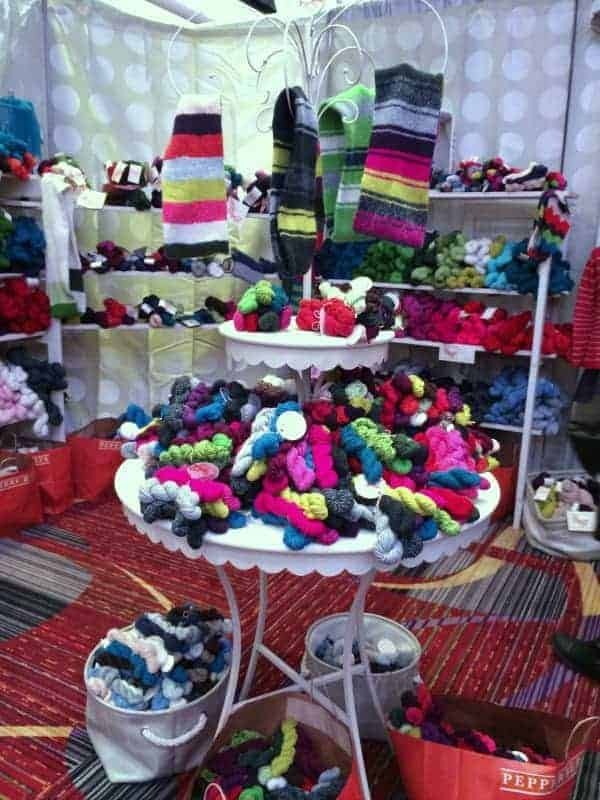 It was filled with such vibrant colors, and the Cashmere in the samples hanging up just seemed to glow. 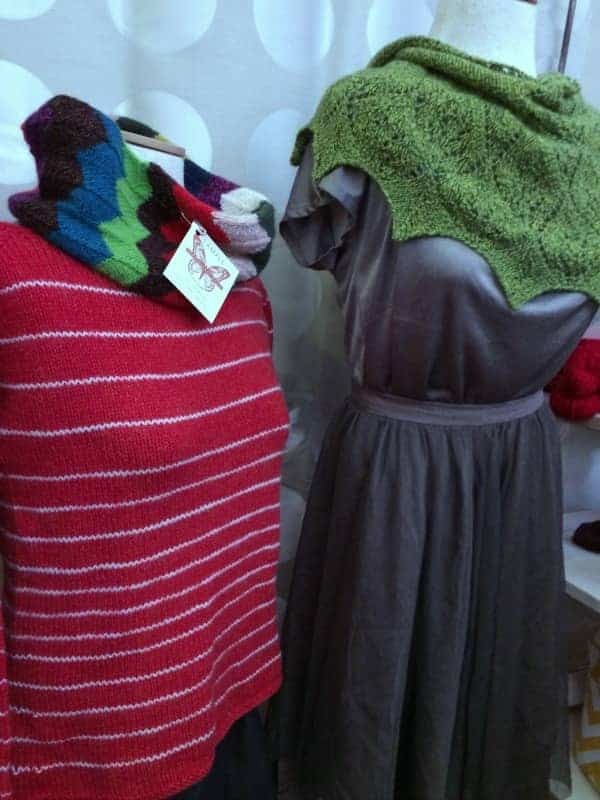 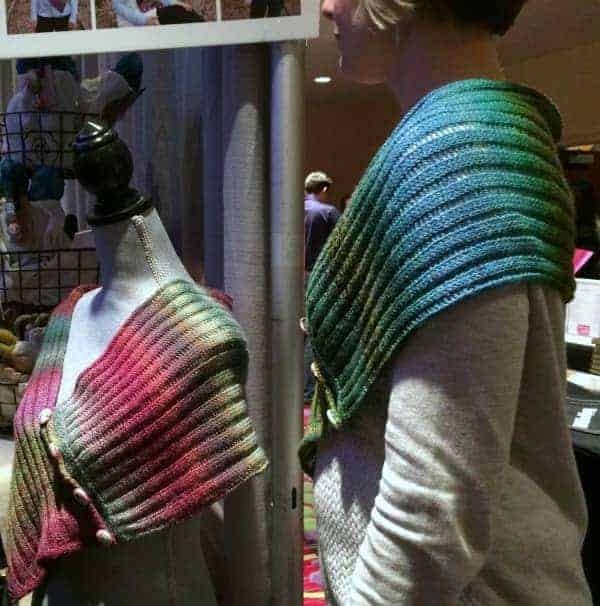 I particularly liked the Fun Size Bundles that were available to make a few different striped cowls and infinity scarves, like Lucy and Lydia. Jill Draper Makes Stuff has been at VKL NYC for the past few years, but I made it a point to visit her booth because I had a sweater quantity of her Hudson (Made in the USA superwash Merino) on my list to make Yelena Dasher’s new West End Girl. 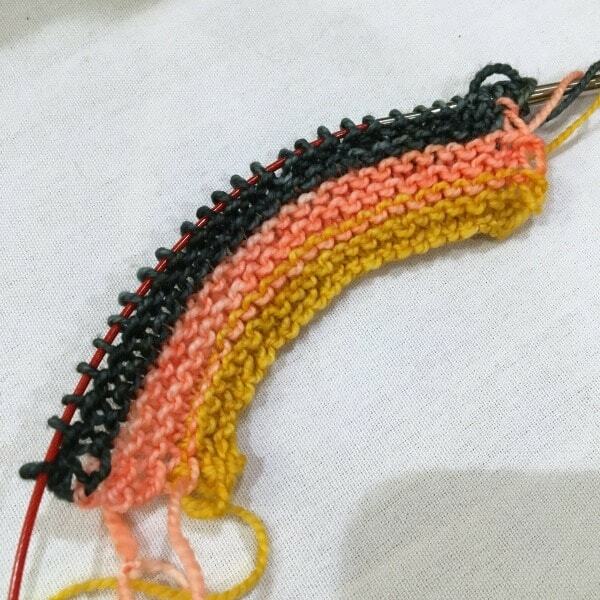 No sooner had I finally decided on a color (a beautiful orange called Spessartine) when I was tempted by something new — Jill’s Rifton gradient skeins. 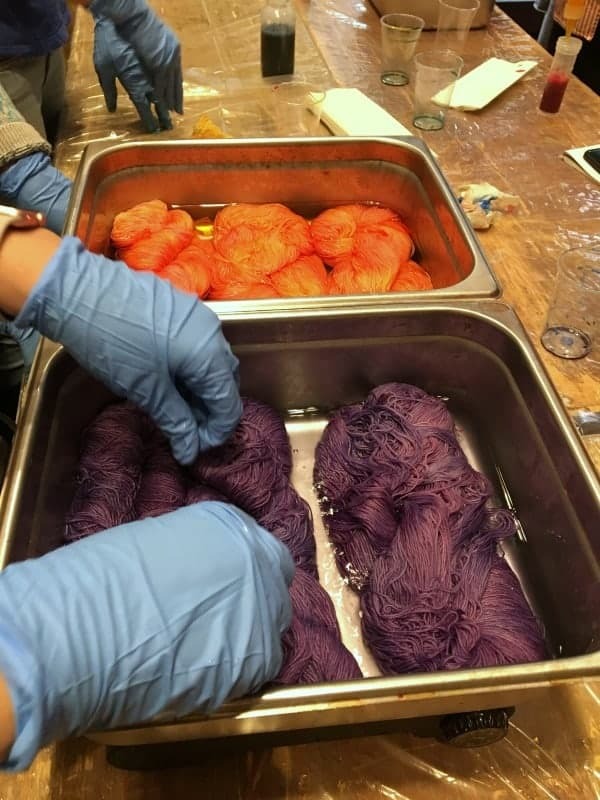 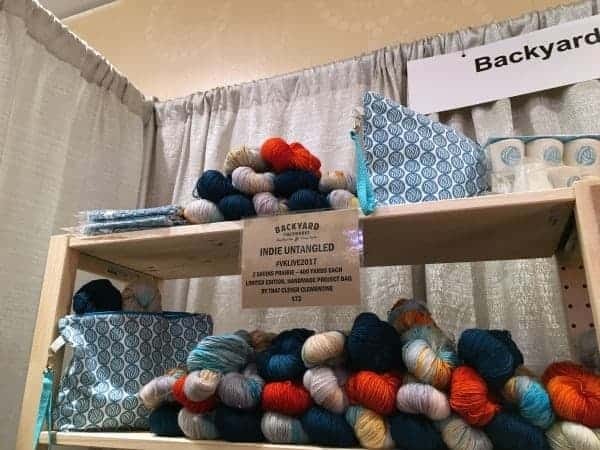 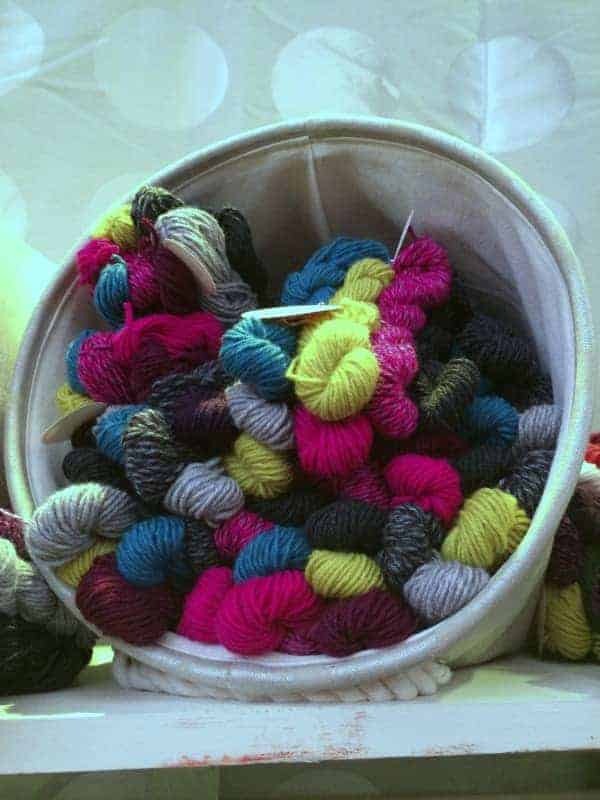 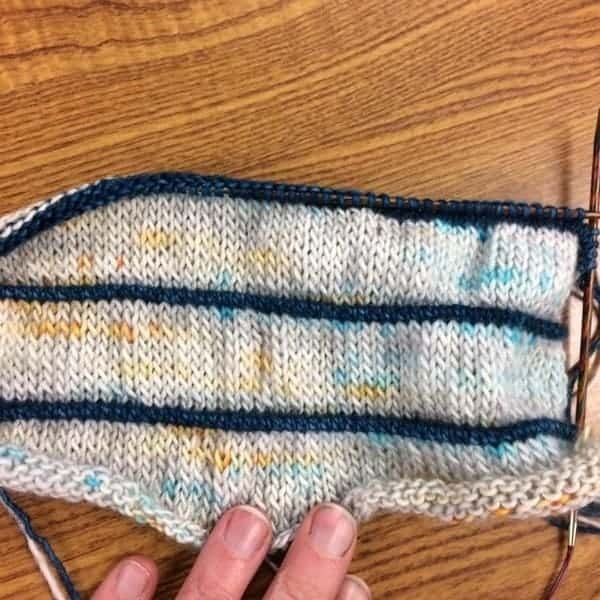 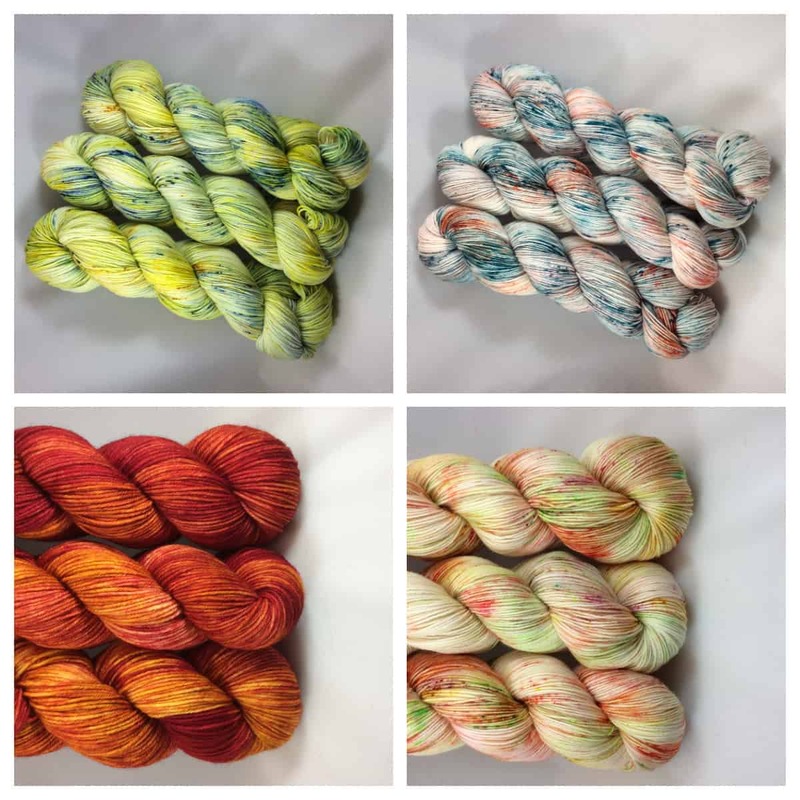 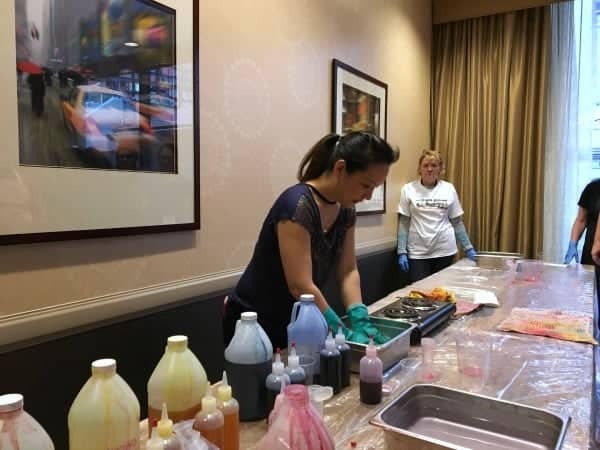 They were dyed up just in time for VKL, and Jill explained that the browns and greys were the natural wool, while the oranges and pinks, or aquas and blues, were added to the fleece before the yarn was plied. 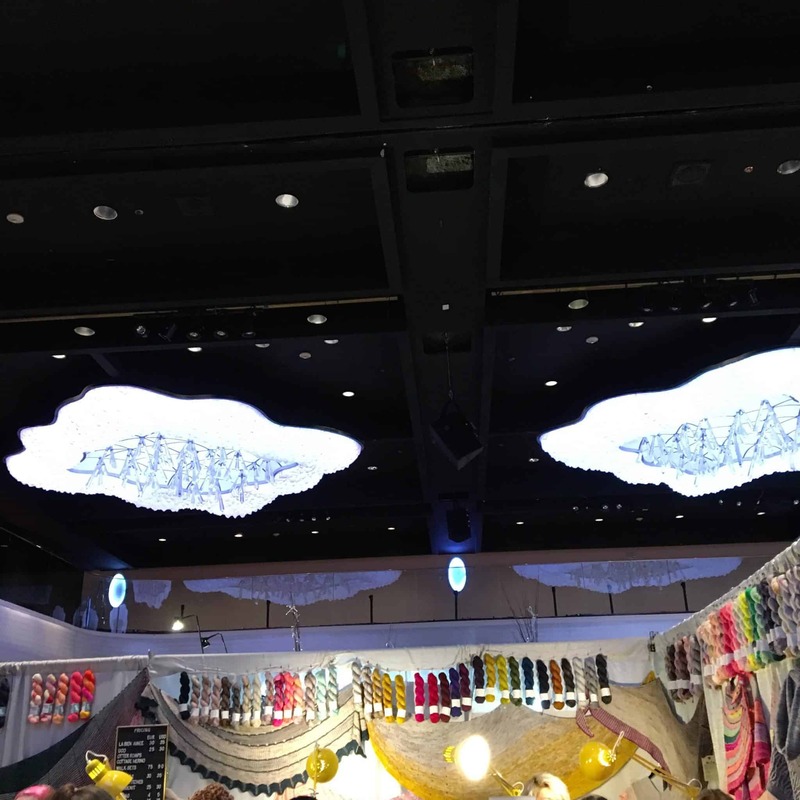 The Heidi & Lana booth really impressed me. 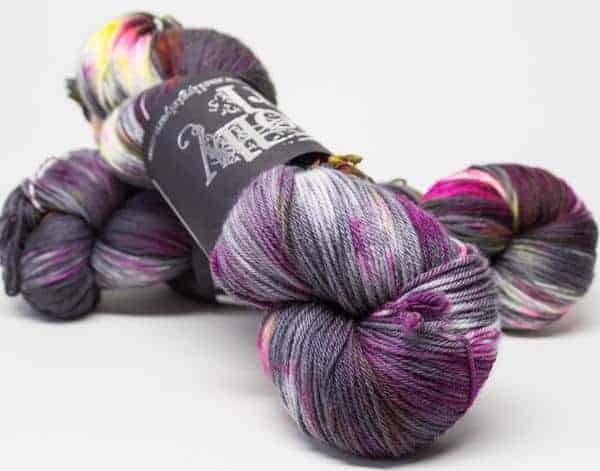 I went there expecting just to see their pretty snag-free stitch markers, but I loved the kits that this Ohio LYS had on offer, including one for owner Margaret Craig’s Passage, which came with yarn from Spincycle Yarns and handmade fabric buttons for a shawl/scarf that can be worn several different ways. 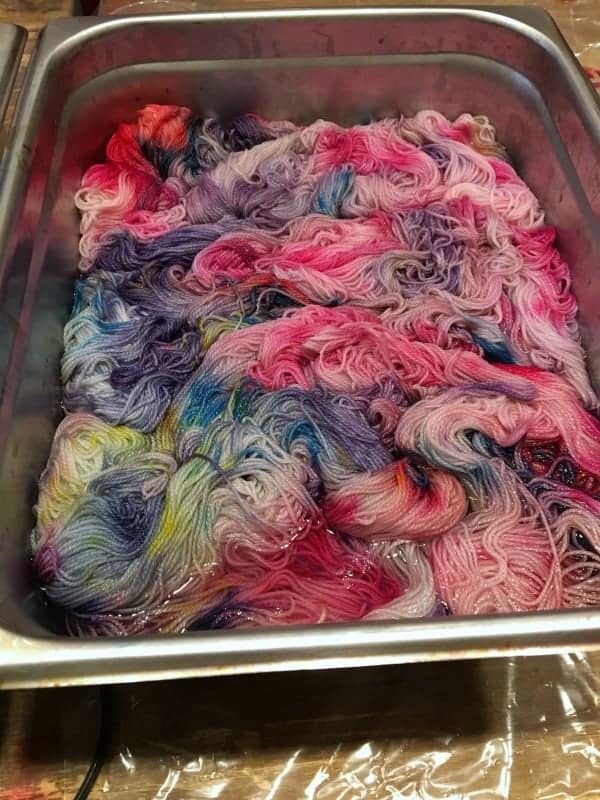 I also enjoyed meeting Angela of MollyGirl Yarns, a relatively new dyer based in nearby New Jersey who has fun music-themed bases and colorways, like Rolling in the Deep and Pink Bullets, and some unique bases (her limited-edition Meet and Greet was an amazingly soft alpaca/silk/linen blend). 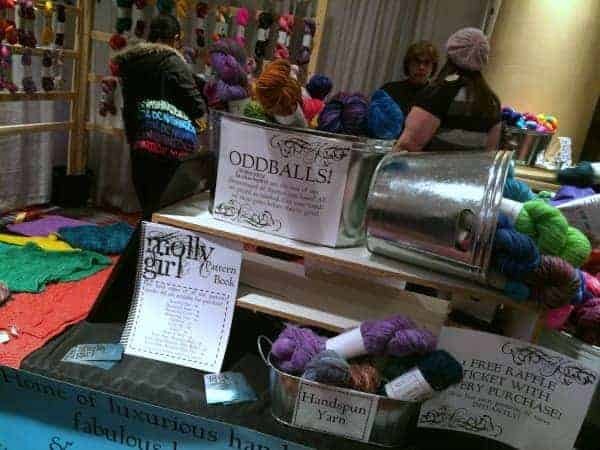 She had the help of her boyfriend for her first-ever show, and it was fun to see her excitement at being part of this crazy knitting event. 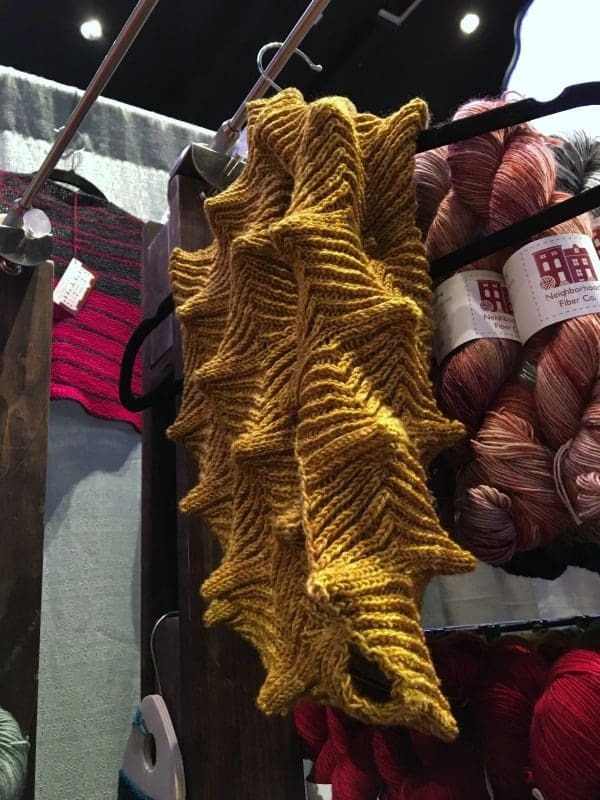 In the middle of the Saturday madness, I spoke with Carol of Black Bunny Fibers, who taught the Yarn Substitution Made Easy class on Sunday. 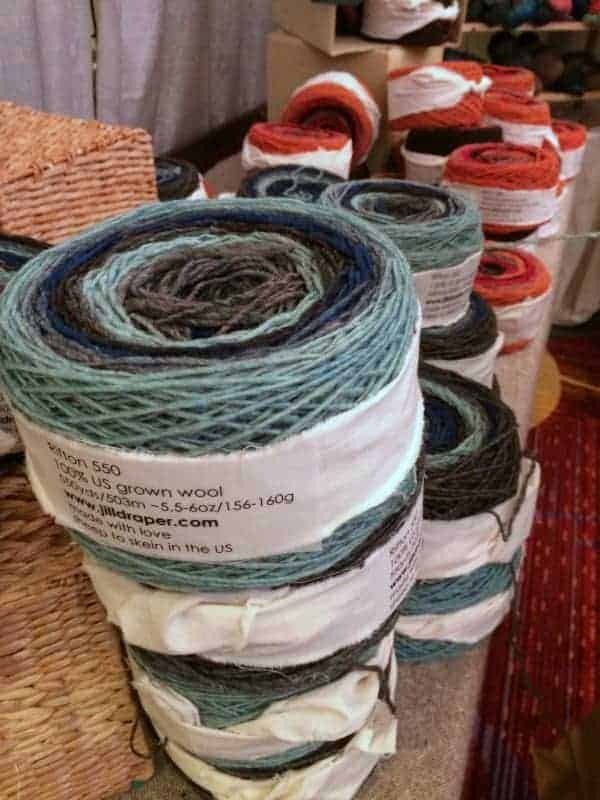 Carol told me about the clubs that she’ll be cooking up in the near future. 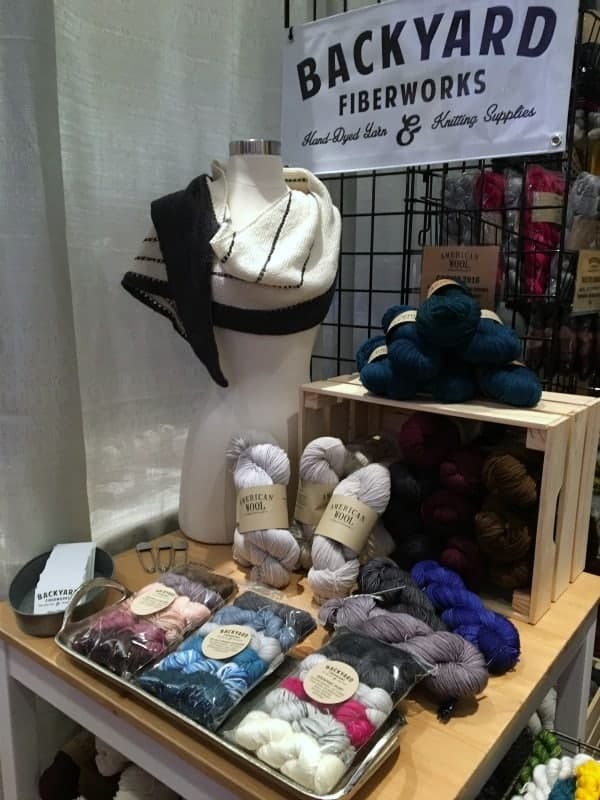 And I had to snap some pics of the Kismet Fiber Works booth. 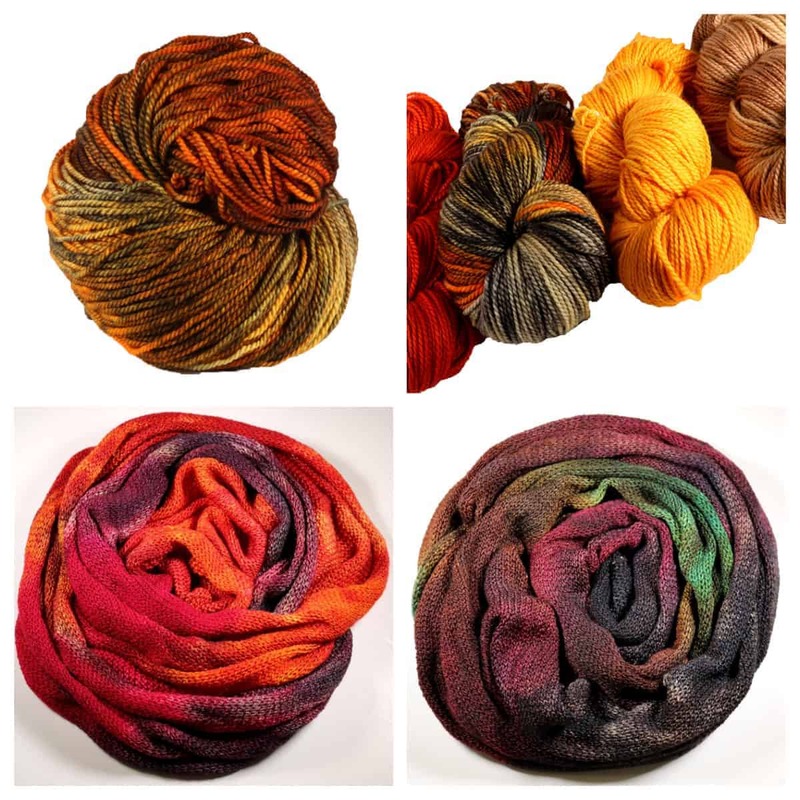 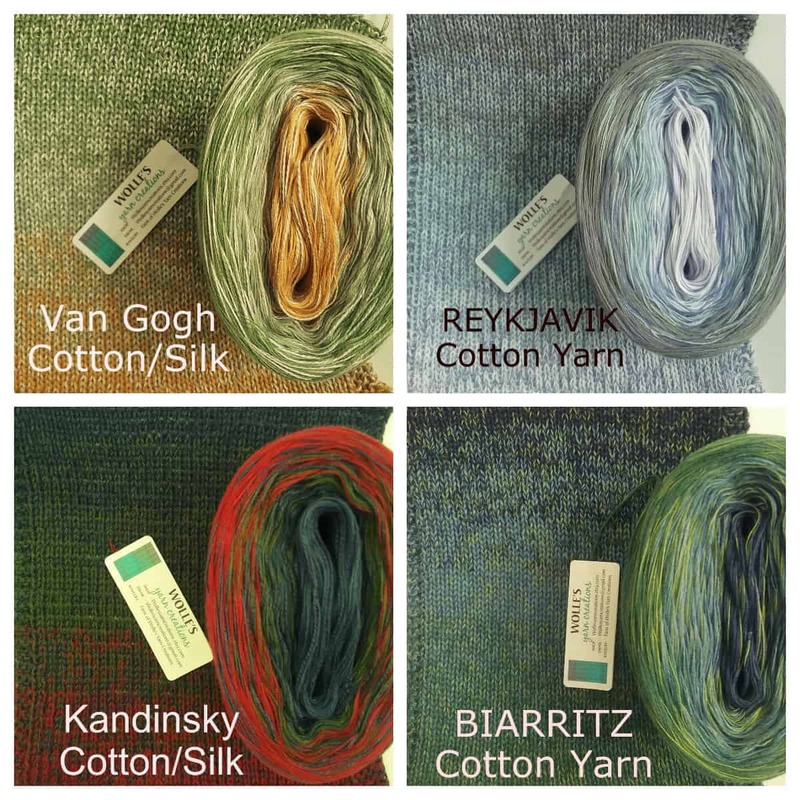 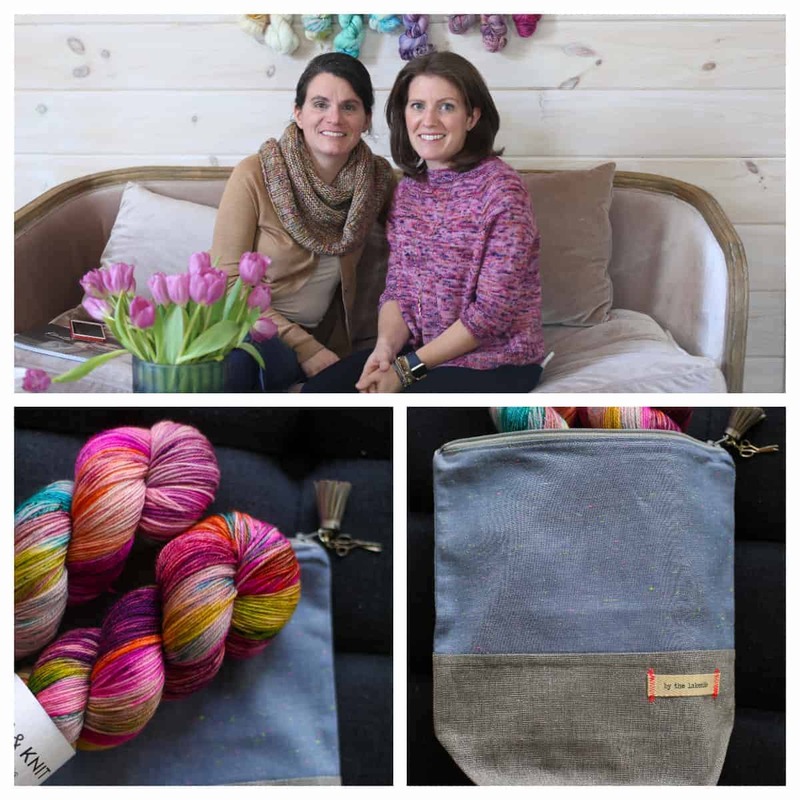 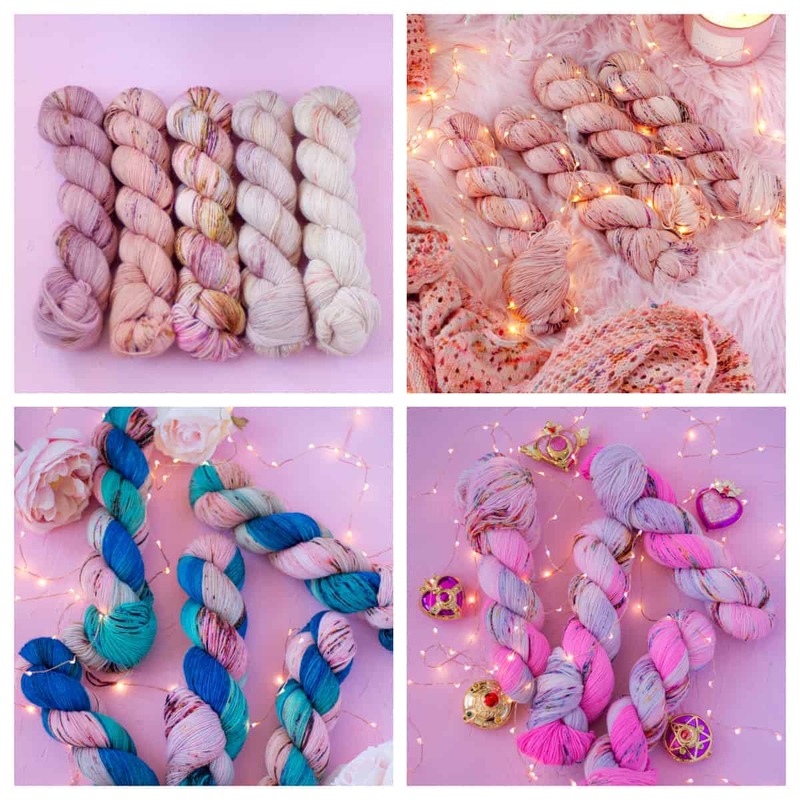 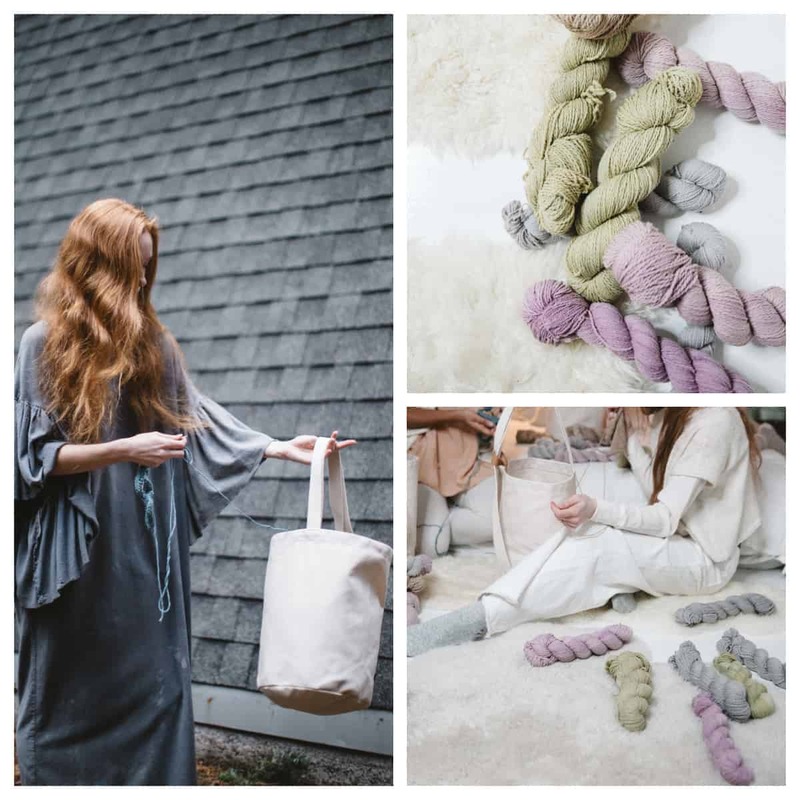 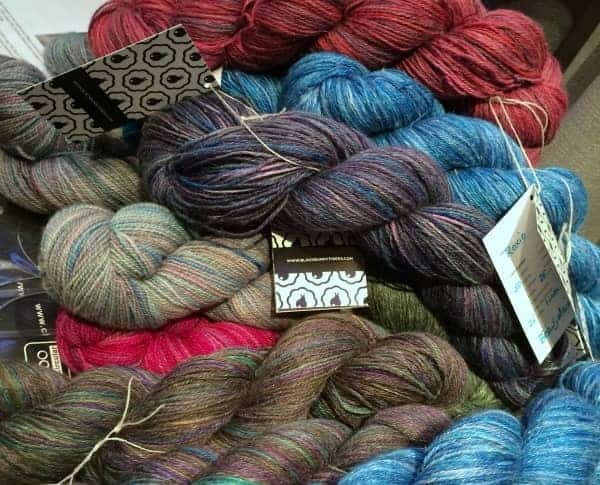 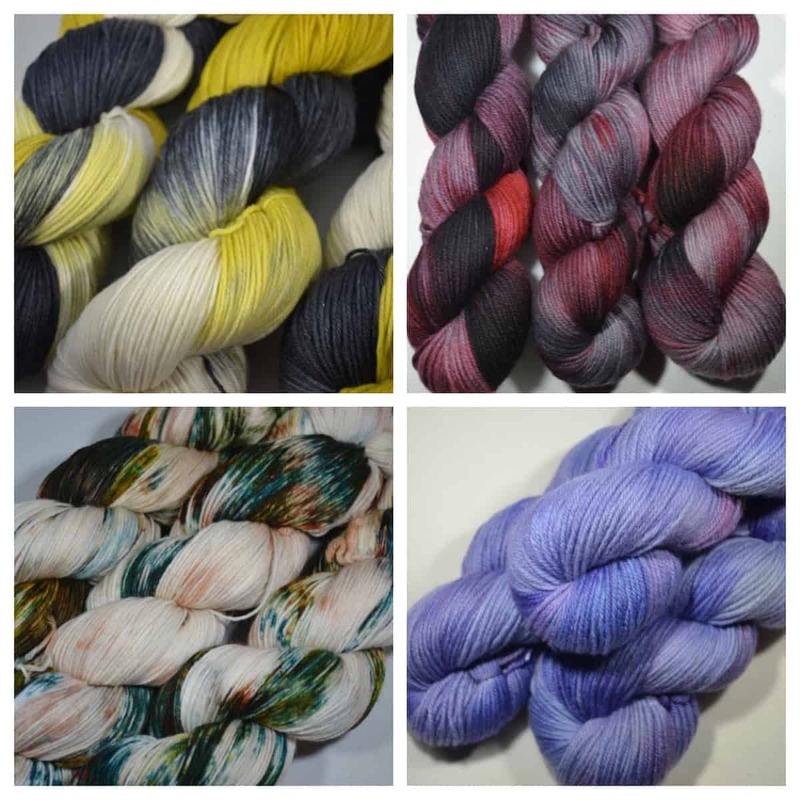 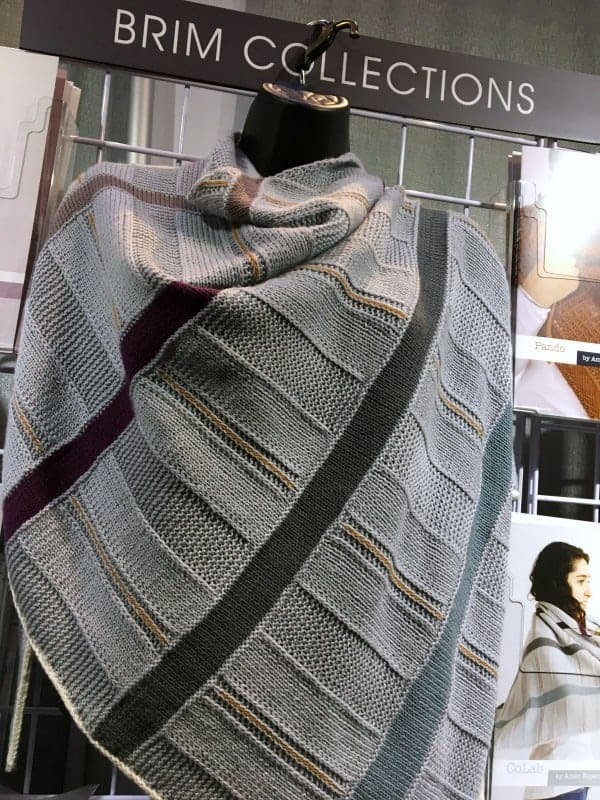 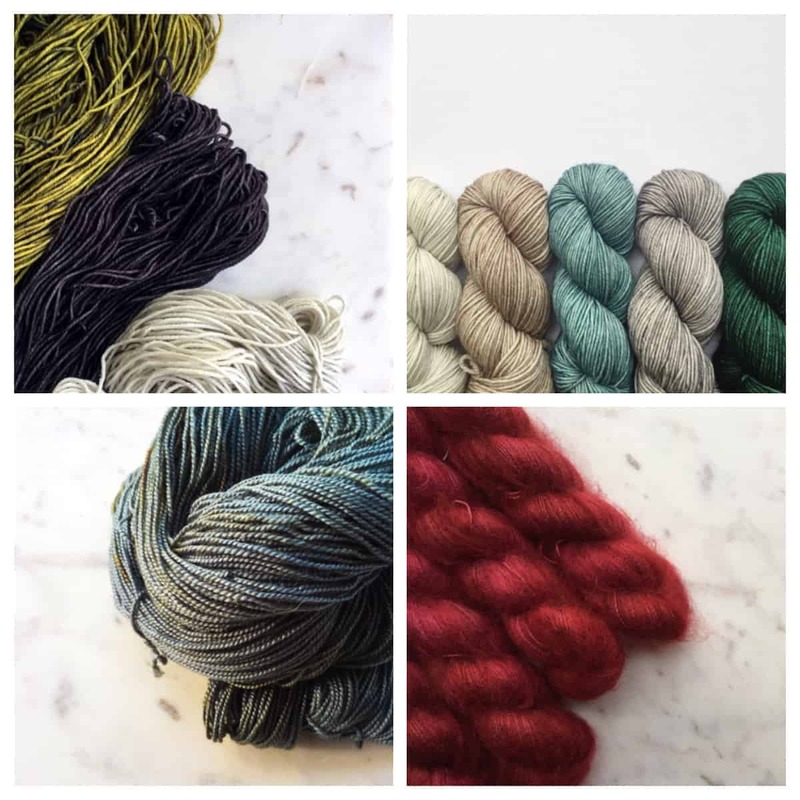 I became a huge fan of this Virginia-based company when they came to VKL for the first time last year, and stunned me with their baby camel/silk and Merino/silk blends that make their colors extra stunning. 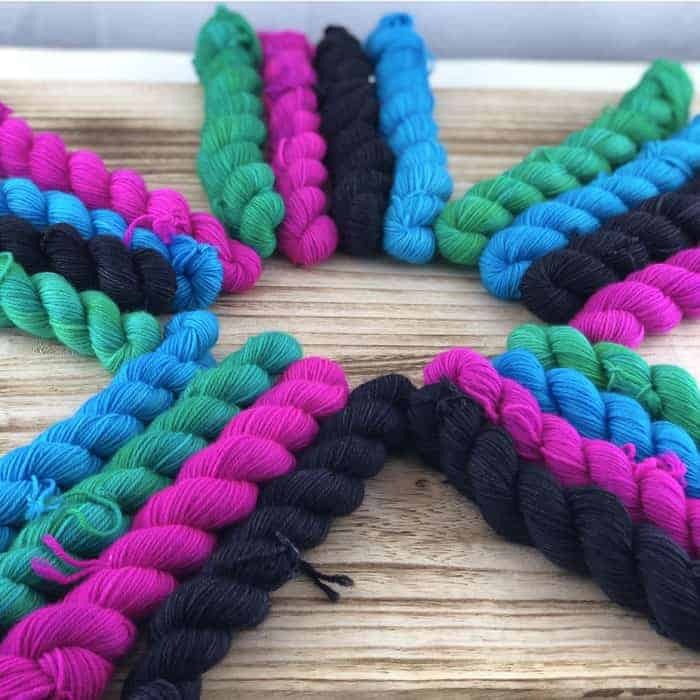 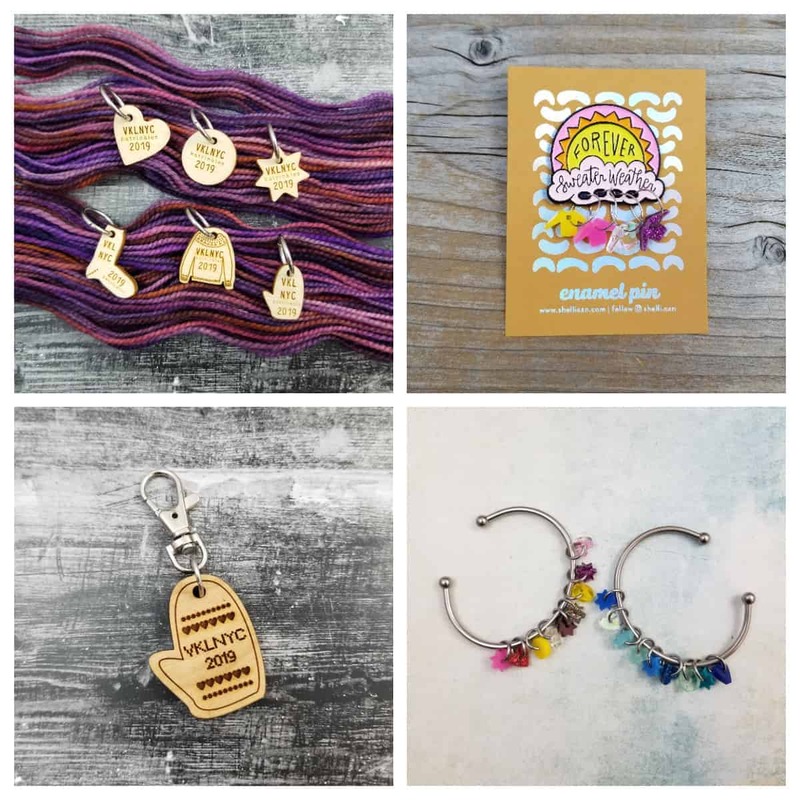 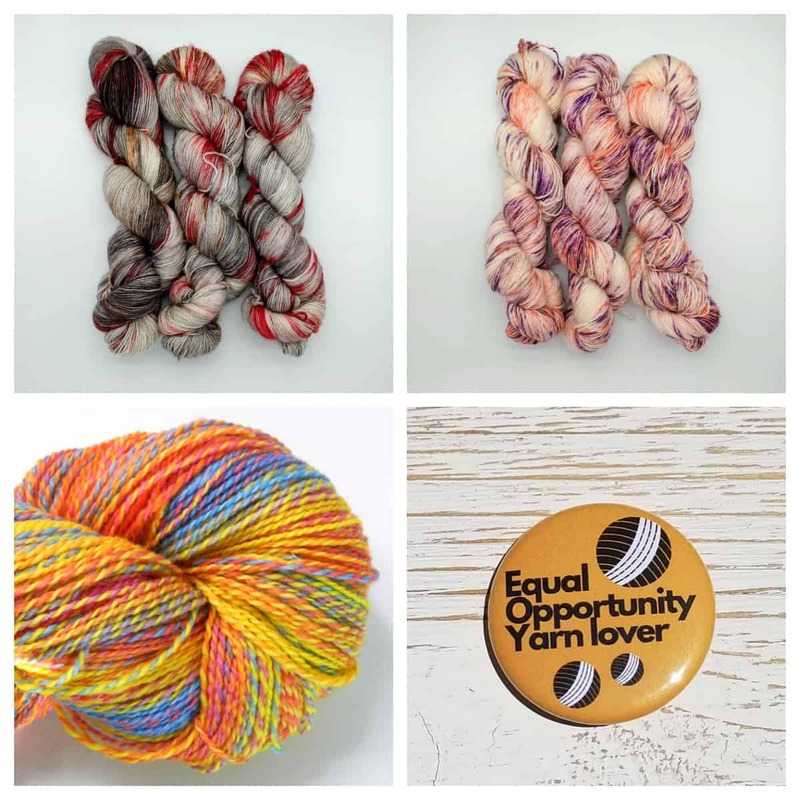 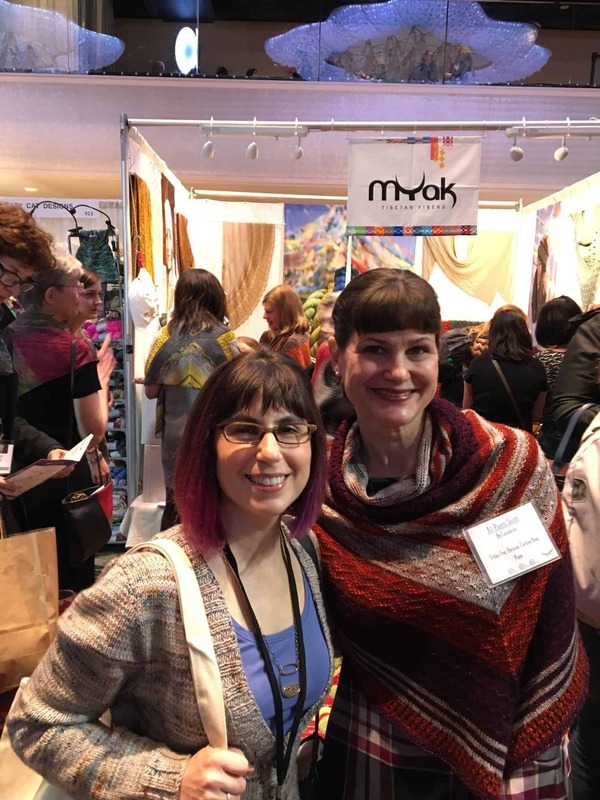 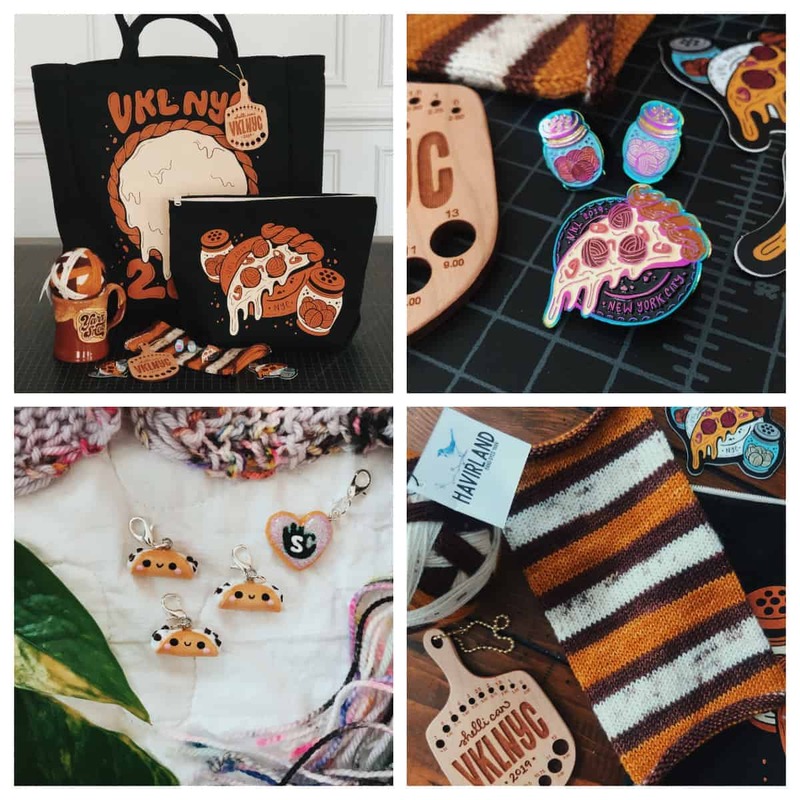 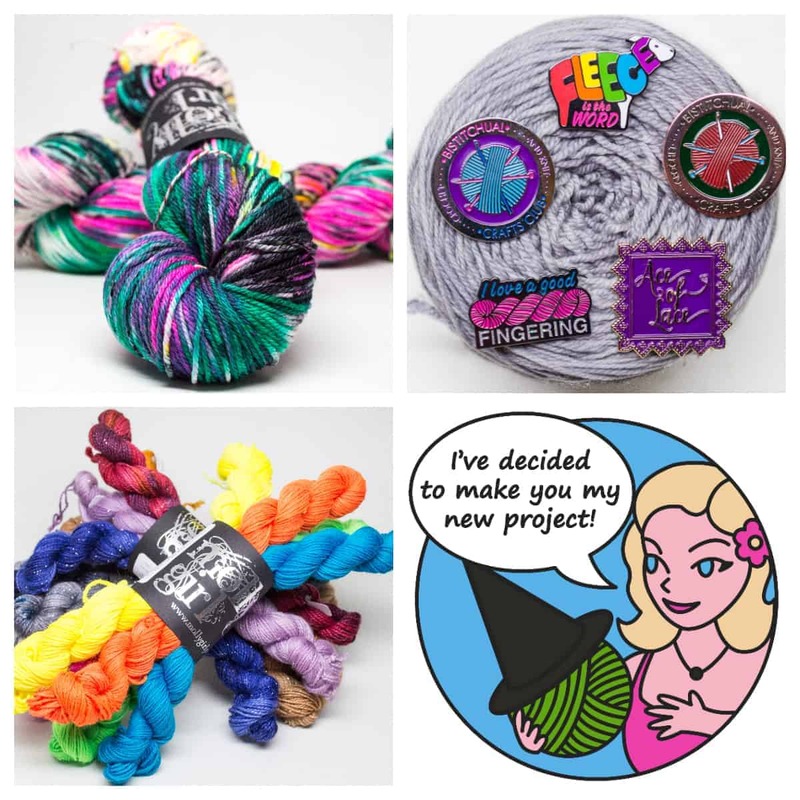 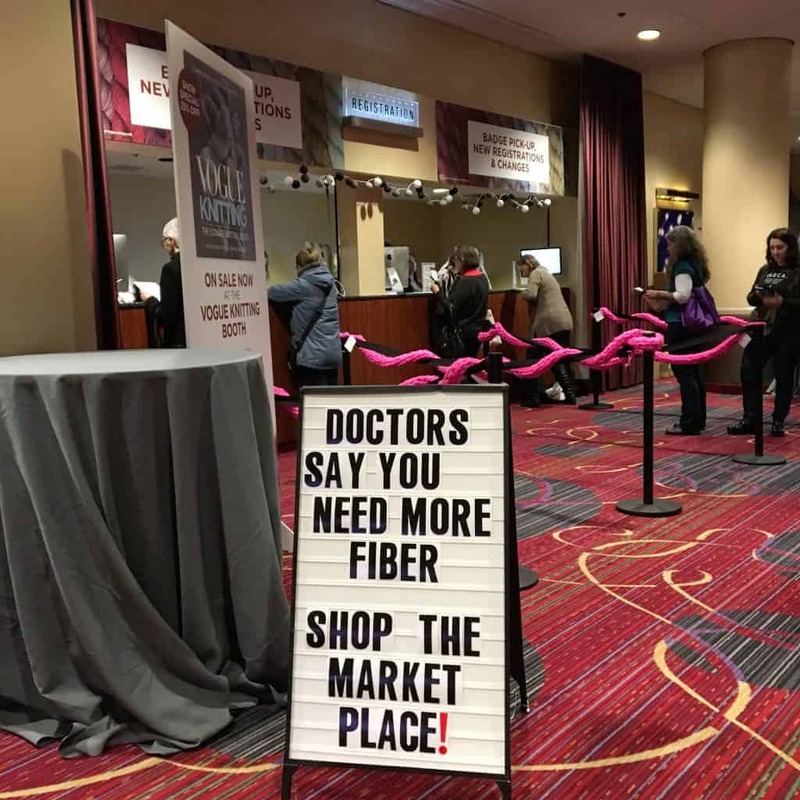 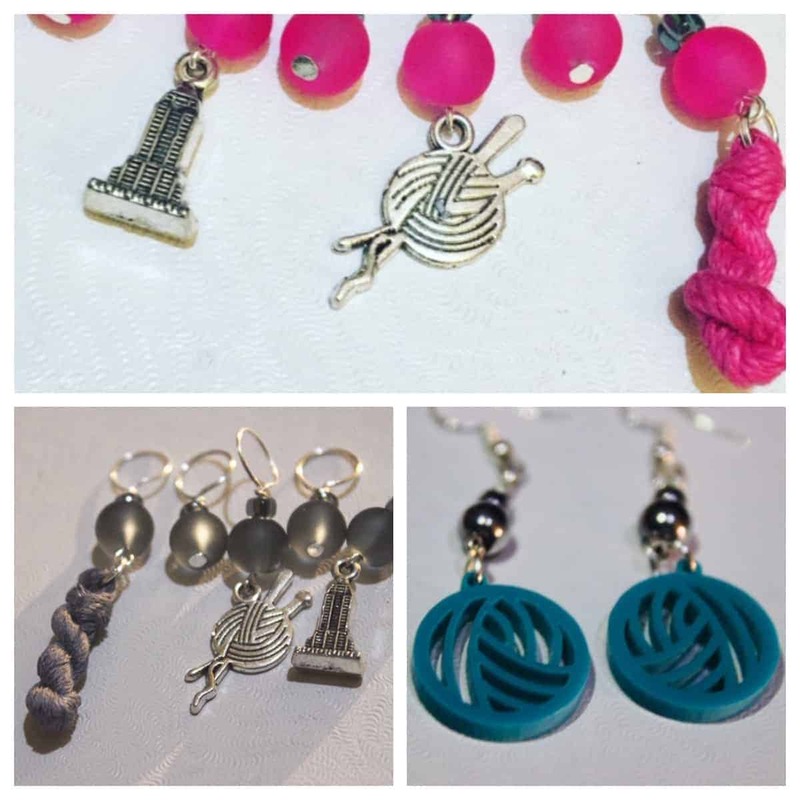 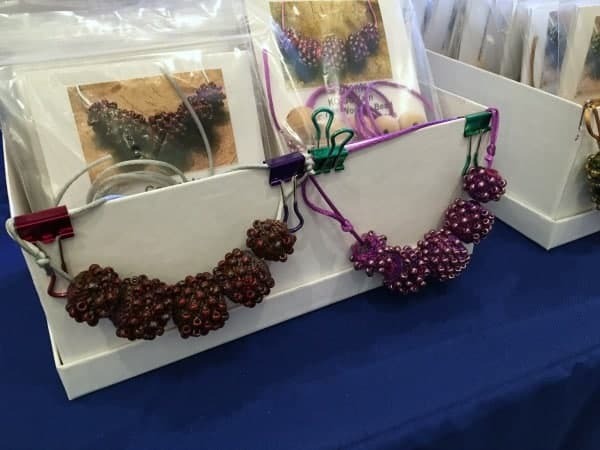 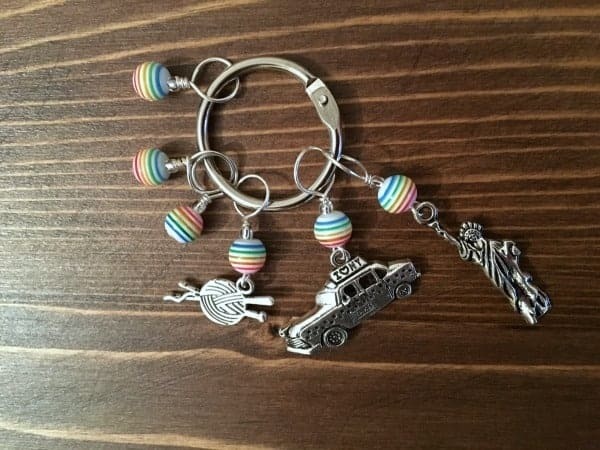 Of course, I admired the colorful knitted teepee and the Seven Wonders of the Yarn World, which Marsha of One Geek to Craft Them All captured perfectly on her blog (I wish I’d taken pictures of the awesome yarn earrings and geeky stitch markers in her booth! 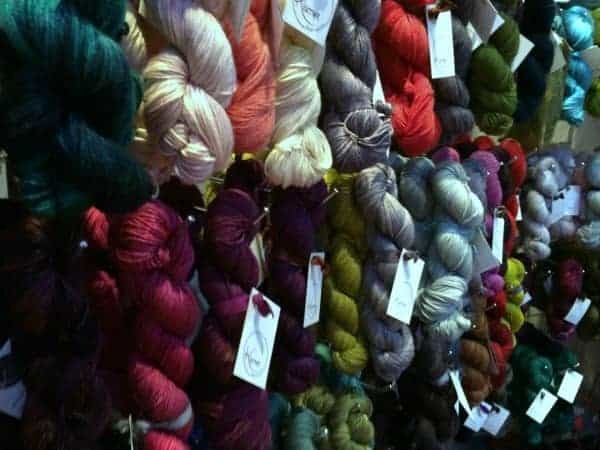 ), and the refrigerator full of knit produce and cheeses — with the way my stash is getting these days, this would probably be the only way I’d ever have that much stuff in my fridge. 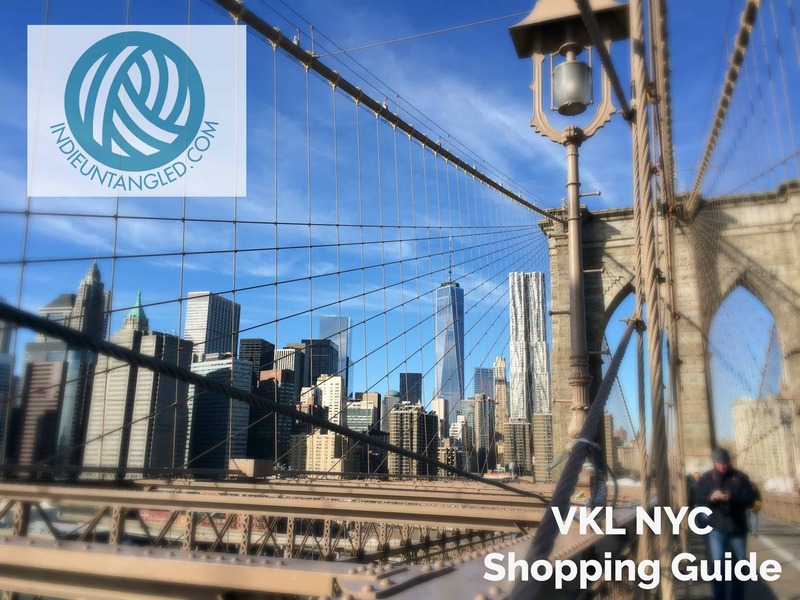 You can see some more of my VKL photos on Instagram.